By 2009, I found myself taking an interest in politics and what the various parties stand for. As Labour have always enjoyed masquerading themselves as the “party of the people” on the day of the General Election of 2010, I found myself voting Labour (for the last time). I saw them as the lesser of evils. However, having already began to realise that Labour were certainly not the people’s party – the so called champion of the working class but a thoroughly neoliberal warmongering machine, I needed something different. In the run up to the 2014 Scottish Independence Referendum, I found myself briefly voting SNP. Although I fully support Scottish self-determination, and always will, I was again confronted with the reality that the SNP was quite simply more of the same. Capitalism, market economics and big corporations running the show. 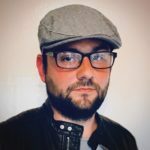 During and after the independence referendum, my interest in politics and the conditions of society grew rapidly as I looked closely at all available options. 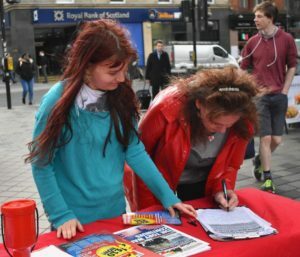 I was very impressed with the fantastic work of the Radical Independence Campaign and it was around this time that I discovered the Scottish Socialist Party. After reading through the party’s policies and also previous election manifestos, I wasn’t long in realising that the SSP was the party for me. Scotland does not only need to break away from the British state, only for things to carry on as they are. What is the point in independence if we are to keep free market economics which impoverish millions? Keeping the monarchy? Keep using the pound? Stay attached to NATO? Scotland is in need of radical transformation and a massive redistribution of the country’s vast wealth and resources – for benefit of people, not the greedy profiteering company CEO’s and opportunistic politicians at their beck and call. 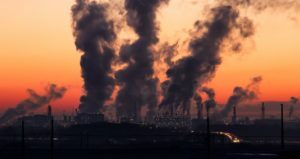 The current capitalist system is rotten to the core and is, quite literally, squeezing the life and soul out of us all. 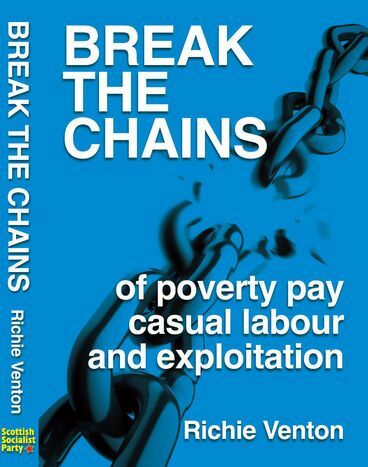 People up and down the country are being exploited with zero hours contracts and poverty pay. We are seeing disability benefits being cut and essential public services stripmined for profit. Scotland’s working class majority are working themselves to the bone, surviving on crumbs that fall from the table of the wealthy. Scottish independence alone will not resolve these issues. 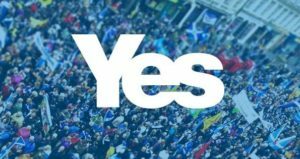 We see independence as a democratic step towards a Scotland that is fairer, that ends exploitation, that has secured self-determination, established a left of centre social democratic state whilst freeing five million Scots from the yoke of British imperialism. One that is ripe for further and subsequent change. Because we are not nationalists. For socialists, an independent Scotland should not be based on the continuation of the status quo. It should be a vehicle to building an equal society free from class antagonisms, workplace exploitation, and oppression. A society where the needs of all our citizens are fully catered for. Socialism is the effective solution in order to reverse the negative effects that capitalism has on the planet and all who inhabit it. It is pragmatic – not the result of wishful thinking or some utopian paradise. It is a fair and just system which caters for everyone, regardless of background. We want to see the big energy companies and other services brought under public control, so that prices are regulated and made affordable for people – Not a continuation of capitalism, where private fat cat business owners and suppliers can get away with demanding ridiculously high prices for essential goods and services. I choose to fight for the establishment of a democratic Scottish socialist republic, at peace with itself and with all other nations of the world – and not be content with being shackled to a painfully unequal imperialist union with an unelected head of state. The gap between rich and poor will decrease thanks to progressive taxation and fair wealth distribution. This kind of society is very possible. The Scottish Socialist Party have a clear and just vision for Scotland. This vision can only be achieved by the working class standing up and fighting back, armed with a clear programme and effective leaders. This is certainly worth fighting for, by any means necessary. I have been an active member of the SSP since April 2017 and I haven’t looked back. I feel a tremendous sense of pride whilst out on the streets talking to members of the public. Standing under our progressive banner with a message of support and solidarity to people who are suffering due to the reluctance of the governments at Westminster and Holyrood to bring about any real difference to society that people can be excited about. There is much to be said for the tremendous amount of work and effort involved in putting forward the case for socialism; a real living wage; an end to war and oppression and the drive towards a better nation and ultimately, a better world. 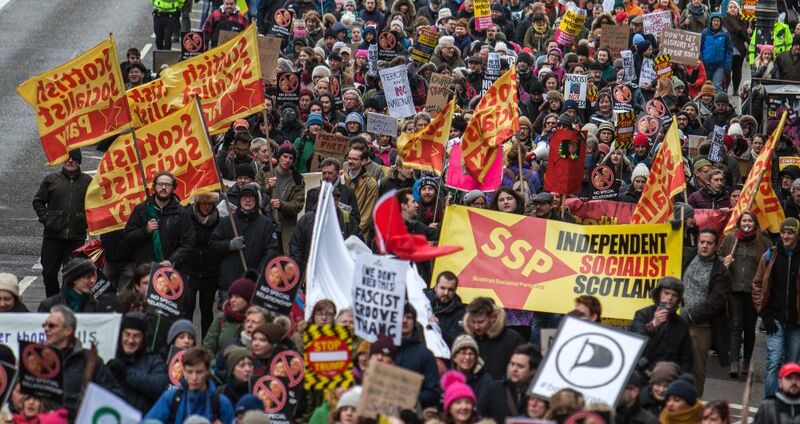 Since the formation of the SSP nearly 20 years ago, it has always been proud to campaign on behalf of Scotland’s working class majority and we receive tremendous support from people on the streets, on their doorsteps, at public meetings as well as at rallies and demonstrations. The world is changing, and many working class people are starting to realise that the system is not serving them, and must change also. Nominally, politicians are elected in order to ‘serve’ their constituents and are answerable to them. If only this were the case. It is time to remove this culture of MP’s earning huge salaries and massive bonuses, whilst they sit on their hands. SSP candidates, if elected, would not accept a penny more than the average skilled worker’s wage and would do all within their power to make sure the people’s voices are heard, promises are kept, action is taken and will make sure that progressive, necessary and socially just change is implemented. We are a party with view to empower people – not exploit them. A party that stands in firm solidarity with workers – to repeal Thatcher’s anti-trade union laws, the gruesome Trade Union Act 2016 – as well as every other disempowering piece of anti-worker legislation which has been implemented by successive UK governments. I believe Scotland deserves better, which is why I joined the SSP. To fight for the future.